Although its typical high-top canvas and rubber construction is all classic, the Converse Chuck 70 is quite comfortable experimenting with loud colors, patterns, and materials as well. 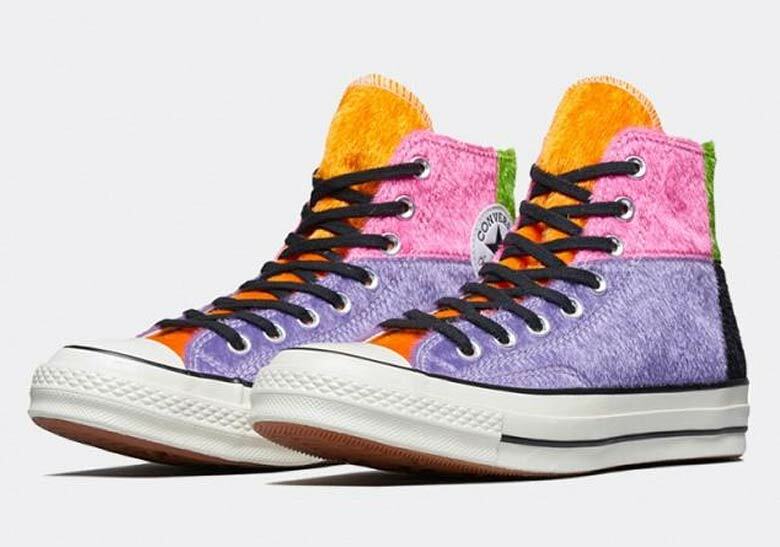 Thanks to collabs with everyone from Brain Dead to JW Anderson to Miley Cyrus, the Chuck 70 has received plenty of whimsical makeovers lately — and now it’s getting yet another one as it recently released in a furry multi-color makeup. The shoe’s upper is dressed entirely in a shaggy synthetic fur, and calls upon a bright and bold retro color palette: light purple, bright pink, crisp orange, slime green, and black all appear to offer an aesthetic that’s somewhere between retro shag couches and modern-day abstract art. The rest of the shoe keeps it simple, as black laces, a white/black midsole, and a straightforward classic gum outsole then arrive to round off the look. Like these colorful new Chucks? They’re available now at the retailers listed below for $95 USD.